Mallorca is one of the most beautiful mediterranean islands in Balearic Spain. The island is a lovely spot to view some of the remnants of old Roman architecture, and besides that it’s full of beautiful limestone mountains and coves. One of the prime destinations in Mallorca is Capital Palma, which is the thriving hub of the island’s nightlife along with some art galleries, quaint villages, and beautiful cathedrals. The island is also known for its Beach Resorts, and to that end we’ve listed out some of the best ones for you. The Son Brull Hotel and Spa is a beautiful beachside resort in the countryside of the island, perched in the foothills of Serra de Tramontana. One of the greatest attractions and setbacks of the resort is its location, which is suitable only for a particular type of tourists. Because it’s so remote from the main city of Mallorca, it can prove to be quite peaceful and relaxing, or boring and dull, depending on your preferences. The nearest town of Pollença needs to be driven to, and you can easily go to some of the beaches nearby. The resort has been created in an elegant style, accentuating about natural shades of beige and taupe, thus creating a lovely Scandinavian effect. This is also one of the most luxurious resorts in Mallorca, and it comes with both indoors and outdoors pools, and a treatment spa that offers a number of different therapeutic treatments. If you’re looking for some of the more energetic activities, the hotel is also ideally placed for you to do Yoga by the pool, or go mountain biking. There’s also a golf course quite close to the resort, and you can avail of their services as well. The resort also comes with some lavish options in terms of meals. 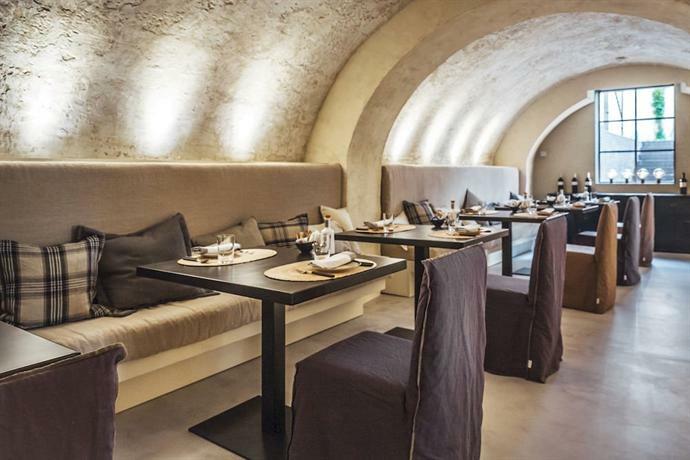 You can go to the 3/65 restaurant, which serves Majorcan cuisine, and you can also go to Snack Son Brull, which serves alfresco lunches, to the accompaniment of some great sea food. 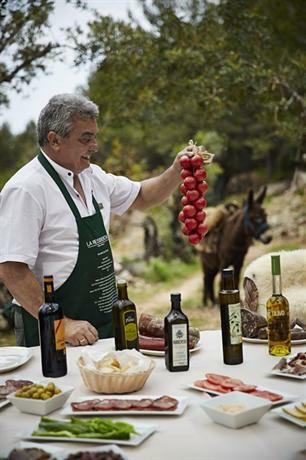 If you’re staying for an extended period, you should also enroll into the cookery workshops, in which you can taste different kinds of wine. Belmond La Residencia is a beautiful resort in Mallorca’s west coast. It’s in a quaint and pleasant village by the name of Deia, just across the Tramuntana Mountains. This resort is quite ideally placed as the nearest city of Palma is well within walking distance. In fact, Palma also has its own airport and as such that’s ideal for those who don’t like to travel too far after reaching the airport. One of the drawbacks of this resort is the fact that it’s difficult to get to the nearest coast as it’s a very difficult and steep climb downhill. 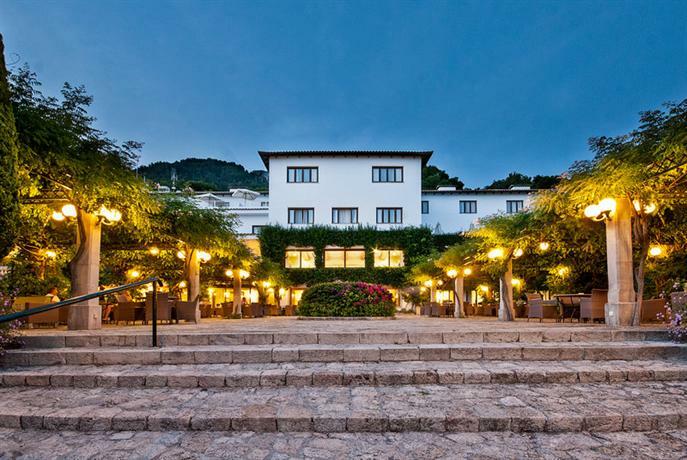 This resort has been designed in the style of a 16th century manor house, with a series of connecting suites flanked on either sides by beautiful and lush olive trees. This resort is definitely very green and beautifully maintained as it also comes with a lush and colorful garden thriving with flowers. The resort is really quite trendy on the inside as well, as the walls have been colored in pastel shades to provide a truly mediterranean look, and the furniture are made of dark wood. The swimming pool area in this resort is luxurious and grand, as it’s located strategically so as to facilitate sunbathing. In case you’re looking for some energetic activities to participate in, the resort also comes with two tennis courts, three lap pools, and even a whirlpool! If you’re looking for some relaxation, you can head on over to their treatment center which offers a variety of different treatments to help soothe your muscles. The Cap Rocat is a five star luxury resort located a mere 15 minutes drive from the airport. This resort is a great option if you’re staying for a short while because it’s located in one of the most beautiful spots in the island. The resort is located right next to the sea, and it’s on the eastern half of the Bay of Palma. However, even though the resort is quite close to the thriving center of Palma, it’s surrounded by so much wilderness and dense vegetation that you might feel like this is the only resort in the whole island. It offers a feeling of deep seclusion while still actually being connected to the rest of the island. The resort is also located in such a place that the beach adjoining it is full of some of the clearest waters available, ideal for snorkeling and exploring the aquatic life. In fact the treatment of this luxury resort is so grand that once you go for a dip in the sea, you can come back out to find a cocktail waiting for you at a sun bed. Some of the activities offered by the resort are Yoga, Pilates, and they even have tennis courts and bikes that you can rent. If you’re looking to get pampered in true mediterranean style, you should definitely go to their treatment center and get your muscles kneaded by a masseuse. The resort only has two regular rooms, the rest are all suites. If you get the sentinel suite, you can be located off a cliff, with your own private plunge pool. 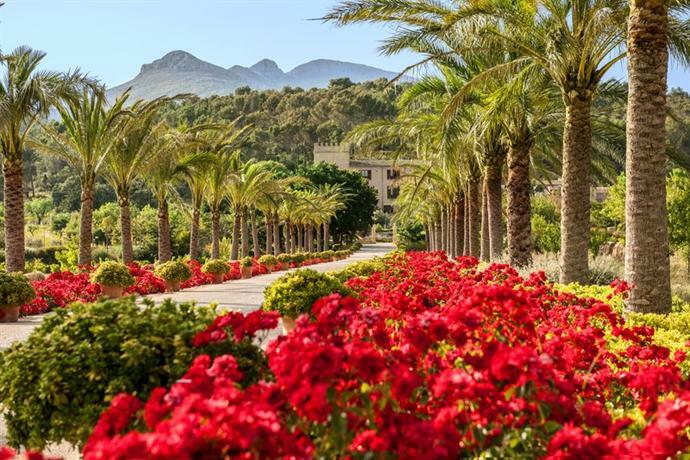 The Viva Zafiro Alcudia resort is located in Puerto de Alcudia, on the northeast of Mallorca, and it’s run by a family. As such, the resort has a luxurious yet friendly vibe about it. The closest town from the resort is Alcudia, which is known for its historical heritage. If you’d like to go to Palma, that will be a 35 mile bus ride away. As such, if you want to be connected to the life of the island, this isn’t right for you. But if you want to be isolated and enjoy some time to yourself in a warm and friendly resort, this is the one you should go for. The color palette of the resort is predominantly taupe and olive-colored. The resort’s lobby is elegant and peaceful. There are several receptionists and staff who make it a priority to get you to your room as fast as possible so that you can relax and get your vacation started. One of the standout features of this hotel is their extremely long pool, which can run along the length of four entire blocks of suites and rooms. Even the pool features plenty of diversity and amenities. There’s a giant blow-up bubble from which you can bounce off, and if you go to the padding pool you’ll also find yourself a pirate ship. The resort also comprises a Balneum spa, and even that features its own mini pool. You couldn’t be any more pampered than at the Viva Zafiro Alcudia. The Jumeirah Port Soller is located in the northwestern coast of Mallorca, and it’s positioned over a cliff looking over the Mediterranean. 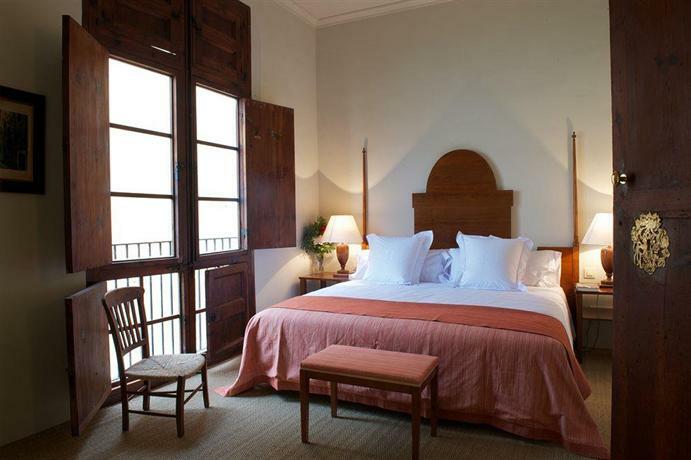 From this beautiful resort you get a grand sweeping view of the Port de Sóller and the Tramuntana mountains. If you’d like to go into town, Sóller is a short distance away. However, if you’d like to go to the capital city Palma, that would take you a 35 minutes ride. 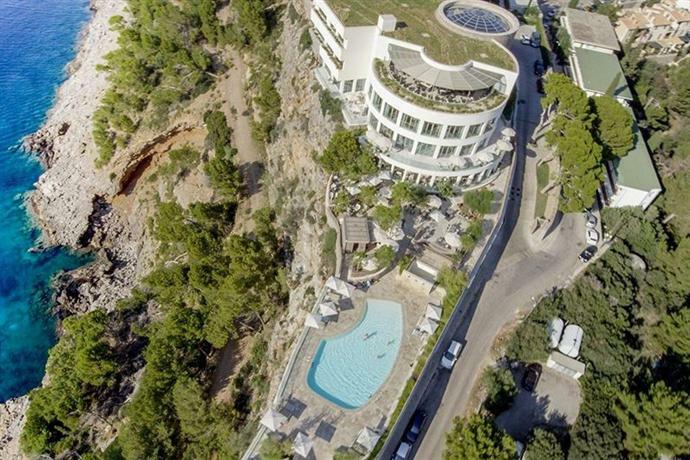 The resort comprises 11 individual sets of buildings that are positioned along the cliff face, and they have three swimming pools between them. If you go to their Talise spa, you can look out at the emerald sea below. The resort makes use of natural shades in its decoration and even fabrics so as to further enhance the feeling of calm and relaxation. Other than the swimming pools, you can also go to their treatment center, or you can enroll yourself into Pilates classes. The resort also comes with 120 rooms over all. The most special thing about this resort is that each of its 120 rooms gets a sea side view. The rooms are also decorated with neutral shades and painting of local artists to give it some personality and taste. The bathrooms in the resort are large, spacious, bright, and they come with their own bathtubs and showers. The Luxury Boutique Hotel Can Alomar is ideally located in the middle of the capital city of Palma, on the Passeig del Born boulevard. If you’re in Mallorca to go shopping and explore some quaint cafes and boutiques, this is the place to be as you’re smack right in the center of life. The resort itself has been designed in a 19th century aesthetic leaning with beautiful paintings and sculptures and calm neutral tones predominating. The roof of the resort features a lovely pool overlooking the Cathedral, and as such this is one romantic spot to be in. 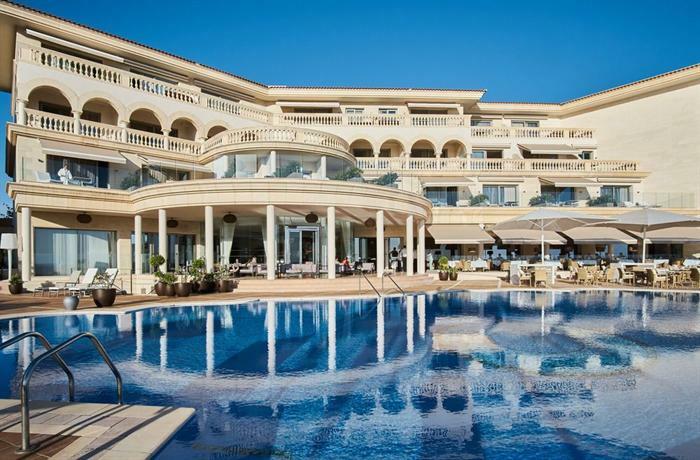 The St Regis Mardavall Mallorca Resort is located in a secluded spot all of its own, and yet it’s a mere five minutes from Puerto Portals which is a thriving marina full of yachts and boats. If you want to go to the city, you need only take a 15 minute drive. The resort comprises four buildings styled in an ochre shade. The prime attraction of the resort is the Arabella spa, which is perhaps the most famous spa in all of the island. They also have a large pool divided into three sections with a stunning view of the sea. 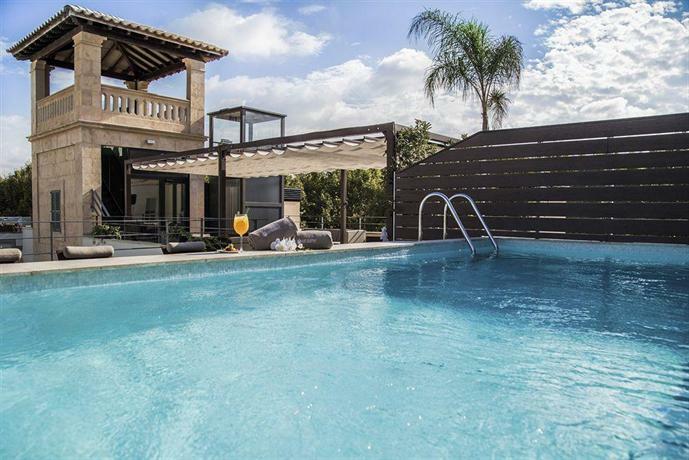 La Reserva Rotana is located in east Mallorca, off the town of Manacor. This resort is ideal for you if you have a helicopter as it comes with a helipad. However, if you’re coming by plane, then the airport is a 45 minute drive away. This resort is constructed over a building that used to be a Manor house in the 17th century. 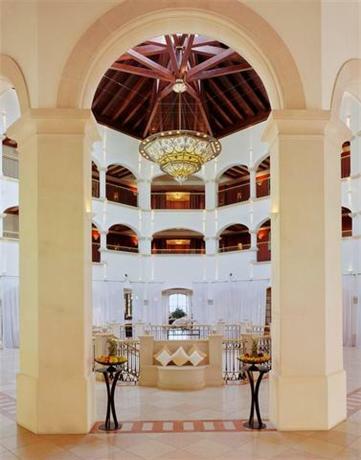 It has 32 rooms and they all come with high ceilings and large gleaming marble bathrooms. One of the most attractive amenities of the resort is a 9-hole golf course that anyone can avail of. The Formentor is located just off Port Pollensa, and it’s the ideal resort for those with an adventurous spirit. The resort is often frequented by cyclists, and it’s a great base ground from which to embark on boat trips. 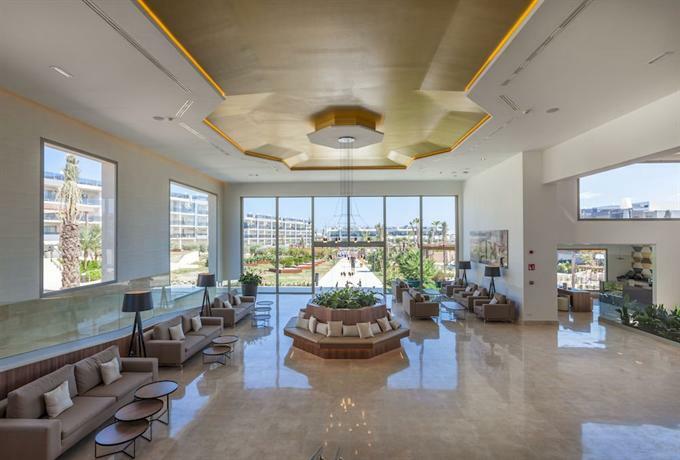 However, the Palma airport is quite far from the resort, takes over an hour by car, and as such the resort isn’t the most well connected. This resort has some of the most extensive set of amenities amongst all the luxury resorts in Mallorca, including ping pong tables, jacuzzi, mini golf course, swimming pools, and even some Balinese cabins. The Castell Son Claret is located in the foothills of Tramuntanas, a mere five minutes from Capdella village. This resort has been designed in such a way so as to exude a sense of luxury and elegance from its every crevice. As soon as you enter the lobby, you’re welcomed with a refreshing glass of lemonade. The resort also has amenities such as a lounge, a library, a spa, and even a hot-water salt pool which is used for relaxing therapeutic purposes. There are 38 rooms in the resort, and all of them come with their private balconies and terraces. 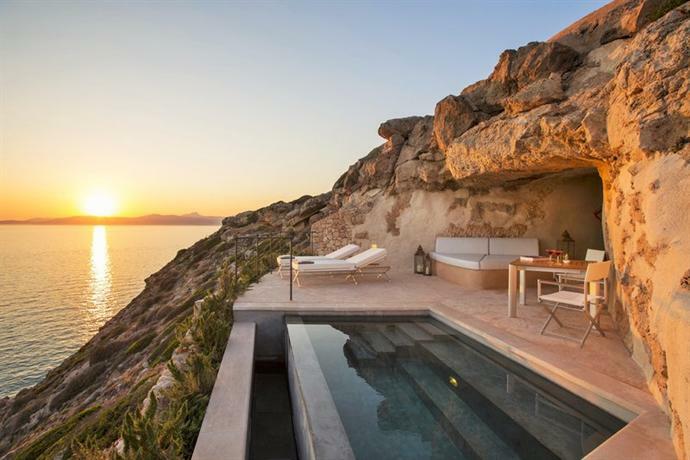 The Pure Salt Port Adriano is located on west Mallorca, and has a stunning view of the Port Adriano Marina. If you’d like to go to the beach, you can simply walk down the cliff to the El Toro beach, which is one of the great family-friendly beaches in Mallorca, providing water sports and other activities for people to indulge in. The resort comes with several great amenities such as a spa, an indoor pool, hair salon, and even a Flightscope golf simulator! The general aesthetic leaning of the resort is decidedly very Art Deco. Boutique Hotel Calatrava is a mere five minutes away from Palma Cathedral, and a 15 minute walk from the closest beach. The resort has an extremely contemporary and urban look about it even though its established on a setting that had been created in the 19th century. Some of the amenities offered by the resort are boat rides, bicycle excursions, treatment centers, whirlpool tub, and a lounge area. There are 16 rooms in the resort and most of them feature their own terraces. 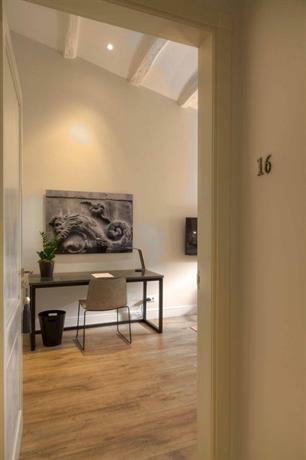 The Sant Francesc Hotel Singular is a beautiful resort located smack right in the middle of Palma, on a street flanked by boutique stores and charming cafes to eat at. The resort has been developed on a 19th century structure, and the predominant colors in the resort are neutral earthy tones juxtaposed with charcoal grays. As such the resort feels very modern and contemporary in its aesthetic. There are 42 rooms in the resort and they’re all well designed with gleaming bathrooms and lots of natural light. Amongst the amenities, the resort offers spa treatment, a rooftop pool, and yoga classes. 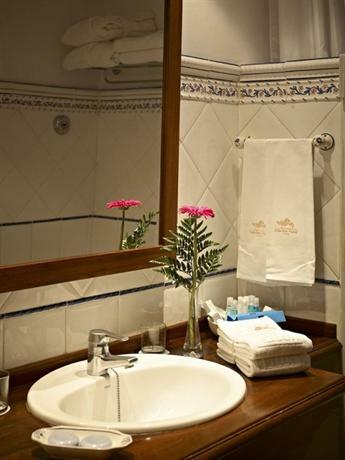 The Can Cera Hotel is situated just off Santa Eulalia Plaça, a small walking distance from Cathedral, L’Almudaina Palace. The resort has been designed in a manner so as to retain some of the edifices and stone layout of its origins. As such, as luxurious as the resort is, it has a very old-world charm about it, which is appropriate considering it’s close to Mallorca’s most famous cathedral. The resort also has an Invictus boat on which you can get a nice trip down the sea. You can also borrow bikes to ride around the island. The amenities in the resort comprise a treatment room, sauna, whirlpool tub, among others. There are 14 well-lit rooms in the resort. The Hotel Cala Sant Vicenc is located in quite a picturesque yet quirky location between the shafts of mountains. It’s in a quaint village in the northwest of Mallorca. There are three different beaches all located within a five minute walk from the resort, and all of these beaches come with crystal clear turquoise waters. If you’re into water sports, you can even go kayaking on the water, or rent yourself a scuba diving gear.